It’s time for the next edition of Q&A by the Coffee Machine, where we’re taking a quick break to chat with different staff members here at Shelving, Inc. This week’s feature: Nina Sprague! Nina started working here in 2015. Before joining our team, she accumulated 11 years of experience in the shelving industry where she did store design and layouts. Now she’s the assistant to our vice president of special projects and strategic initiatives, as well as a sales representative. 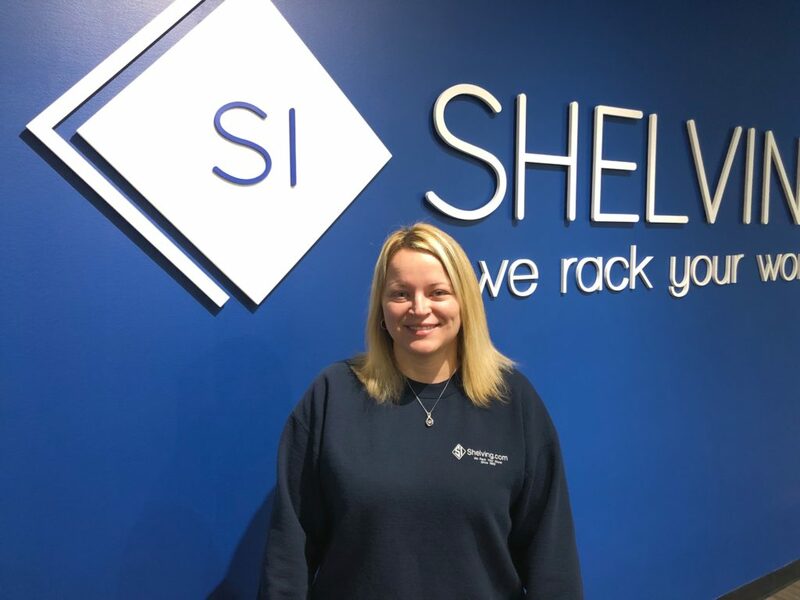 Manning the online chat and helping customers with inside sales, she loves being able to take an essentially blank canvas and turn it into something practical to meet their shelving needs. A mother of 3 children—Brittany (19), David (16), and Olivia (5)—many are shocked by their age difference. But she and her husband, Jeff, consider Olivia their “surprise,” because a surprise is something you don’t know you want until you get it. “None of us can imagine our lives without her,” she says. If she’s not lounging on the lake, you can find her playing softball or tailgating and enjoying Tigers baseball. If you couldn’t tell by her hobbies, she prefers warmer weather and hopes to move to Florida after she retires (many years from now). Stayed tuned for more Q&As in the future!